Between hefty prices and often confusing product specs, it can be difficult to make decisions about tech purchases like buying an e-reader. Before you invest your money and time with an e-reader, check out our side-by-side comparison of two popular models: the Kindle Voyage and the Kindle Paperwhite. What we found: The Kindle Voyage and Kindle Paperwhite have the same screen size, battery life, resolution and storage. What you’ll learn: For $80 more than the Paperwhite, the Voyage offers an adaptive front light and allows you to turn pages with the press of your finger. From a design standpoint, these two Kindle e-readers are on equal footing. Both the Voyage and the Paperwhite feature 6-inch, high-resolution, 300-ppi displays housed in sleek tablet-like black casings. The Voyage is slimmer, but not by much. 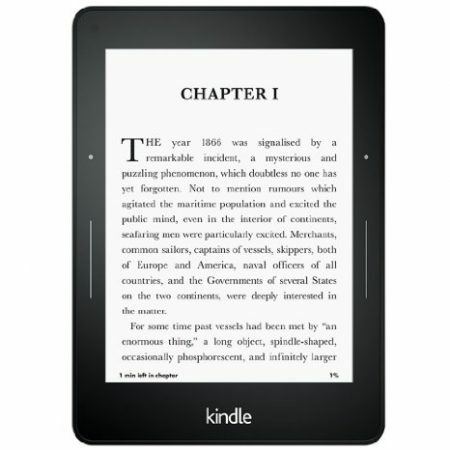 Amazon calls the Voyage “our most advanced Kindle ever,” but says the Paperwhite is its best-selling Kindle model. Both are lightweight and small enough to hold in one hand. For easy reading, they come with sharp text and the ability to pick up where you left off. The devices also offer footnotes and estimates of how long it will take to read a specific chapter. Consumers can choose from millions of books, newspapers, magazines and more. If you’re looking for affordability, more than 1 million titles are priced at $2.99 or less. And with access to Amazon’s Family Library, two adult members of an Amazon household can share content. Each e-reader has 4GB of on-device storage, allowing users to download and store thousands of books. They also provide free cloud storage of all Amazon content. These Kindles have a battery life of up to six weeks on a single charge, depending on the light setting and wireless usage. The Voyage takes three hours to charge, while the Paperwhite takes four. The real difference between these two Kindles comes down to user experience. The Voyage offers two standout features that the Paperwhite doesn’t: an adaptive front light and new page-turning technology. The adaptive front light is designed to “more closely resemble reading on real paper.” Thanks to this automatically adjusting light sensor, readers can trust that their e-reader’s brightness is always at the optimal level for their surroundings. The second feature, the force-activated PagePress, allows users to turn a page by simply increasing the pressure of their thumb on the e-reader. Still not sure which e-reader to cozy up and read with? Let your wallet do the choosing. The more advanced Voyage has a regular price of $199.99. Buyers can choose a one-time payment or five monthly payments of $40. 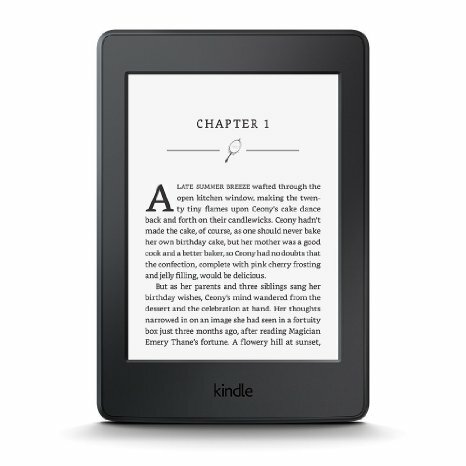 The Paperwhite is a considerable $80 less: a one-time payment of $119.99 or five monthly payments of $24. Plenty of accessories, including covers and screen protectors, are available for your new device. In general, the accessories for the Voyage are more expensive than those for the Paperwhite. For instance, the Amazon Premium Leather Cover is $84.99 for the Voyage but $59.99 for the Paperwhite. If you’re ready to trade in your paperbacks for an e-reader, either the Voyage or the Paperwhite would be a suitable choice. For more casual readers, we recommend the Paperwhite. You’ll get many of the staple features without the price tag of the Voyage. But if you plan on using your new e-reader regularly, the adaptive front light and PagePress might be worth the extra $80.